Integrated Roadway Services Inc. was established in 1986 under the name of Arjang Electric. 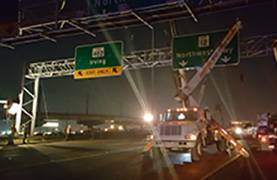 However, in order to reflect the nature and scope of the work performed by the growing company the name was changed to Integrated Roadway Services, Inc. in 1993. The company is now solely owned by Mr. David Mirtaheri one of the original founders of the company. Mr. Mirtaheri holds a B.S in Electrical Engineering from the University of Texas at Arlington and has over 20 years of experience in the electrical and transportation fields. Additionally, David is a licensed electrician and has extensive experience in residential development and commercial construction. Mr. Mirtaheri is the primary estimator for Integrated and is fully versed in the requirements and challenges presented by large roadway projects. Integrated Roadway Services, Inc. is a construction services company specializing in transportation related projects in the following areas: intelligent traffic systems, variable message signs, traffic signals, traffic signage, roadway illumination, high mast illumination, duct bank, fiber optics, toll plaza construction, guard rail and crash attenuation devices and is pre-approved to perform ITS work. 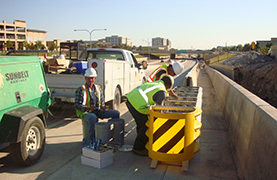 Integrated Roadway Services is a privately held corporation and is headquartered in Dallas. The Integrated Roadway Services, Inc is a dedicated team of construction professionals providing a level of integrity, innovation, experience and quality unsurpassed in the industry. The value inherent in our organigation is derived from our outstanding employees and our commitment to our clients. 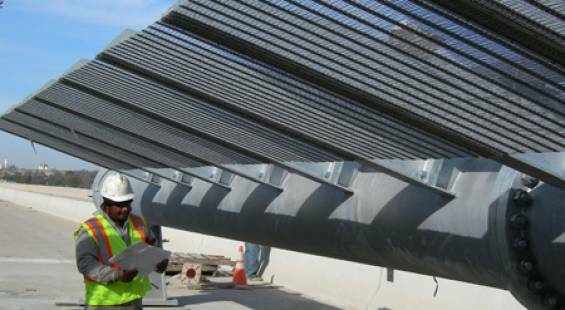 Over the years, Integrated Roadway Services, Inc has assembled a qualified, reliable team of project managers, superintendents, sub-contractors, and consultants. Our involvement begins with pre-construction and continues to servicing and maintaining projects once they are built. Clients can be sure that each member of our experienced team understands the magnitude of their project and is committed to delivering the highest level of quality work.